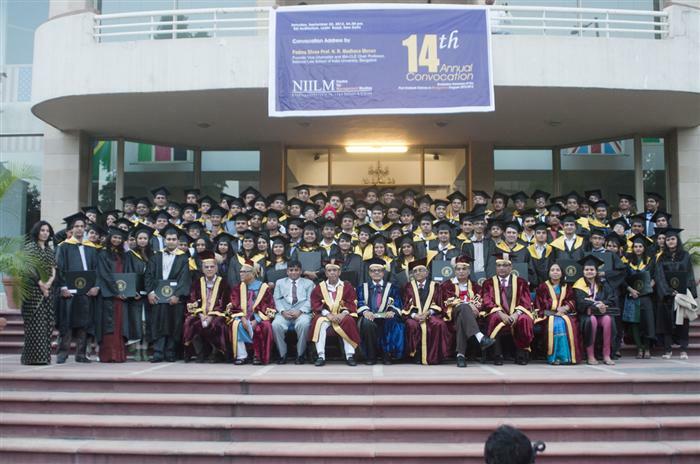 NIILM CMS, one of India’s premier business school accredited by National Board of Accreditation, the highest accreditation body in India has conferred PGDM degree in management to 139 students at its Fourteenth Annual Convocation held on 22 September 2012. 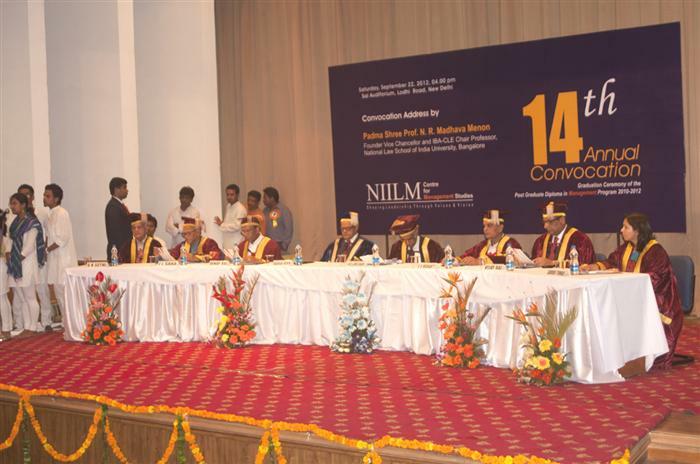 The president said that NIILM CMS’ consistent top ranking and its reputation of being high grade institution confirms its commitment to improve quality through rigorous peer review. This year, NIILM CMS has been a recipient of prestigious Brand Academy Award for the best business school in North India. He told the graduating students that the institute salutes them on their success on this momentous day of their life and stands united in their price and pride in what they have learned during their course of study at NIILM CMS. Professor Menon emphasised that the business schools in India should have a module on law so that the students have a basic understanding of the fundamental rights and duties of business entities and their responsibilities towards the society. He said the business environment in India is fundamentally different from other countries in the world, and it mentioned in the constitution of India that the sole objective of business is not just profit making, but also to have policies that seek promote the welfare of the employees and the communities in their place of operation. Professor Menon stressed that the provisions in regard to the responsibility of the State to secure a social order for the promotion of welfare of the people shall not be enforced by any court, but the principles therein laid down are nevertheless fundamental in the governance of the country and it shall be the duty of the State to apply these principles in making laws. Professor J Saha, Former Director, IIM Ahmadabad. 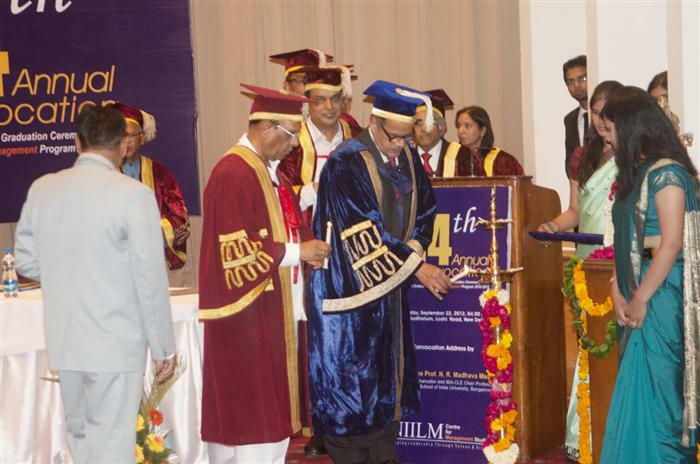 Priya Mittal, a graduating student was awarded the Gold Medal for best academic performance. She also won medals in the area of marketing and for the best all- round performance in extra circular activities. 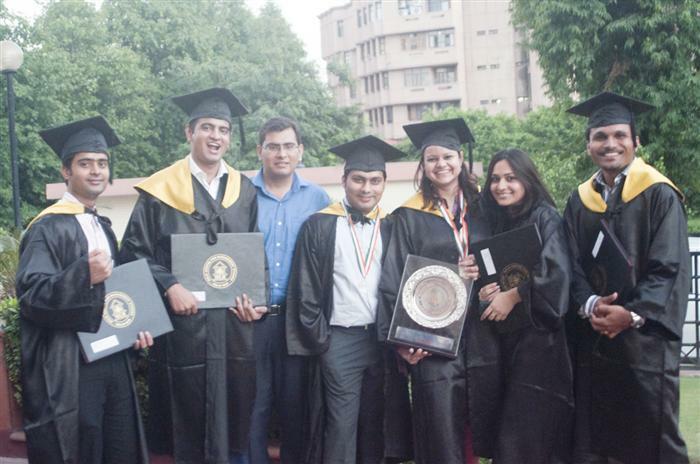 Payal Jha, a graduate said: “It’s indeed a great day in my life. I am delighted to receive this degree and feel very proud to be a graduate of NIILM CMS. I am confident that I’ll be able to us the knowledge and experience gained through this degree in my new job.